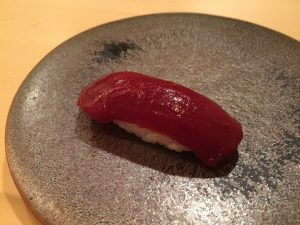 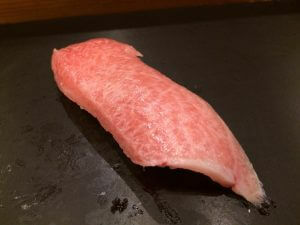 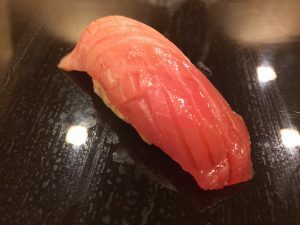 Kuromaguro（Bluefin tuna）, considered as the best sushi item. 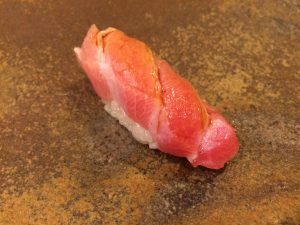 Kuromaguro is in season in autumn and winter, while it is now available all through year thanks to advanced techniques of freezing and thawing. 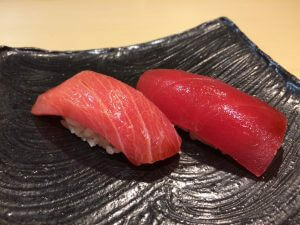 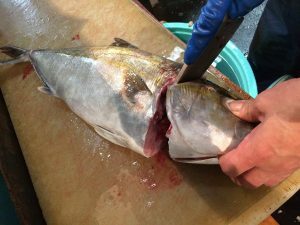 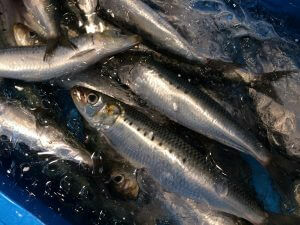 Maguro or tuna was considered as trash fish, not preferred during the Edo period and its fatty part was discarded. 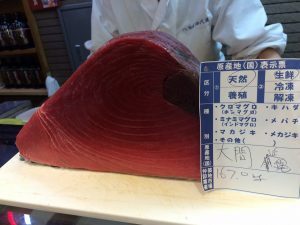 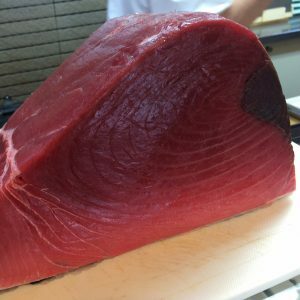 A maturing period of 4-10 days is set in order to bring out best in maguro such as a fine sourness and faint sweetness of fat. 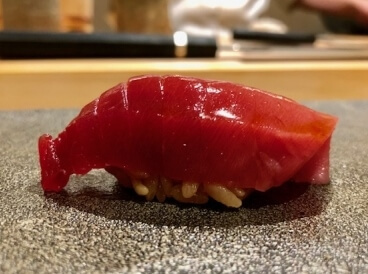 Its sleek, shiny looking deserves the title of “king of sushi”. 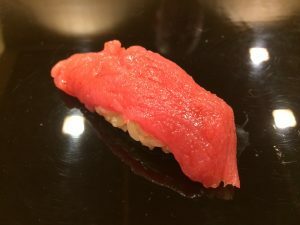 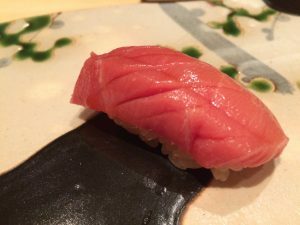 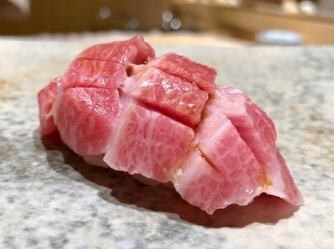 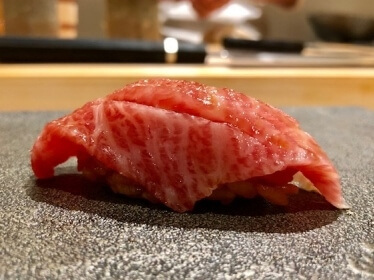 The red flesh can be enjoyed in a variety of ways, either marinated in Nikiri (called zuke),or rolled with maguro (called Tekkamaki).